“Is that what I think it is?” my daughter asked. 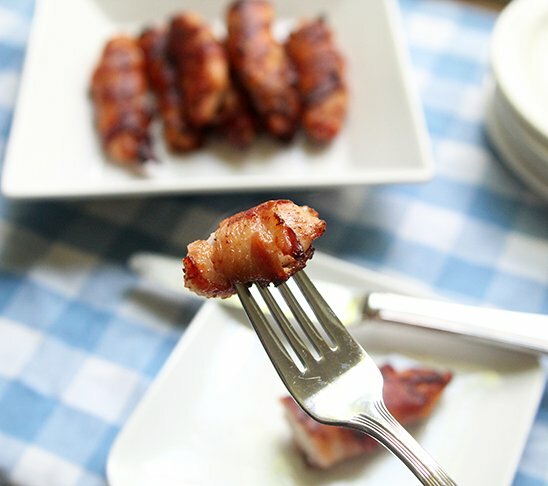 This bacon wrapped chicken tenders impress my kids every single time I make it. But they don’t have to know just how easy it is. Am I right? With just a few ingredients — chicken, bacon and some seasonings — this recipe turns a kid favorite into something extraordinary. 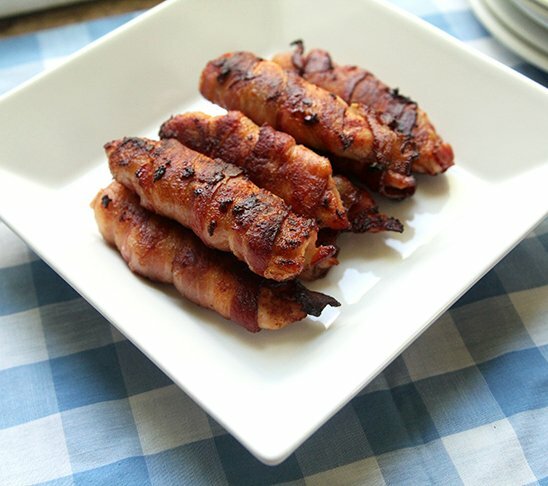 I mean, what better way to dress up a humble chicken tender than to wrap it in bacon? There’s nothing fancy about this recipe at all. The raw chicken is rubbed with a slightly sweet, totally flavorful rub made with salt, brown sugar, cinnamon and garlic powder. 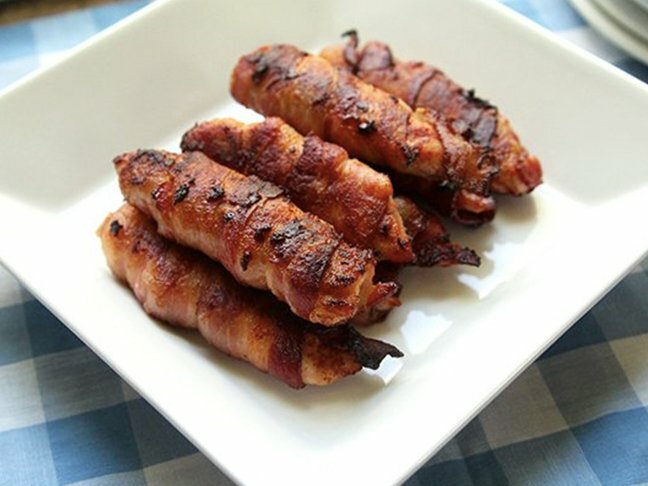 Then it’s wrapped with a slice of bacon, making doubly sure that this chicken is wow-inducing. To cook it, you can either brown it in a skillet and then bake it or you can grill it. Both produce excellent results. My kids, sworn devotees of the dipping sauce, say this dish needs no sauce. But barbecue sauce or a mix of teriyaki sauce and barbecue could be tasty if you really wanted something to dip it in. Serve this with a big green salad and crusty bread for a divine dinner. raw chicken tenders (sometimes called tenderloins): 1 lb. Step 1: In a small bowl, stir together the salt, brown sugar and cinnamon. Rub all over the chicken tenders. 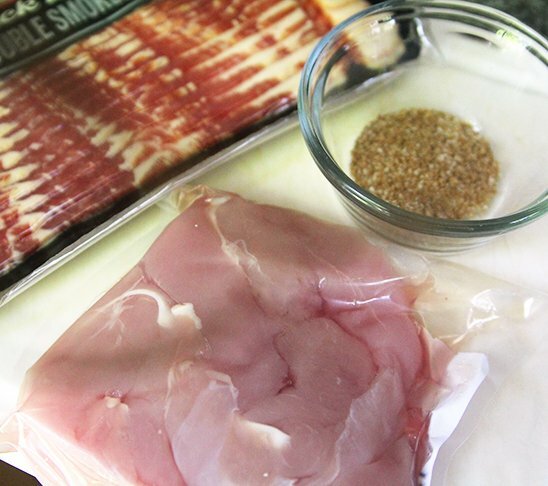 Step 2: Wrap each chicken tender with one slice of bacon, covering from end to end. Set aside. Continue until all of the chicken has been wrapped. 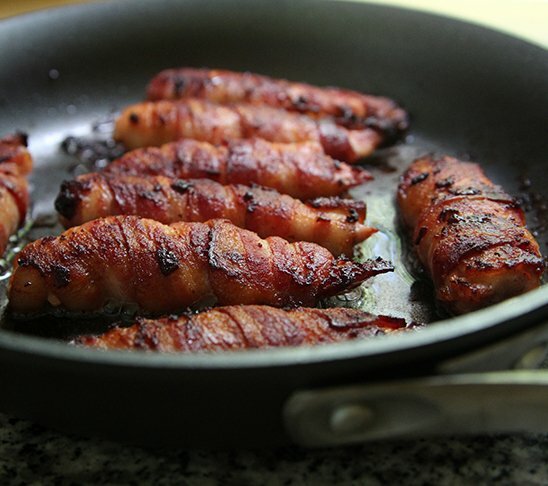 In an oven-safe skillet set preheated over medium heat on the stove, place the bacon wrapped chicken tenders. Brown on both sides, about 3-4 minutes per side. Slide the skillet into the oven and bake for 15-20 minutes, until cooked through. Preheat your grill to its medium setting (about 400 degrees). 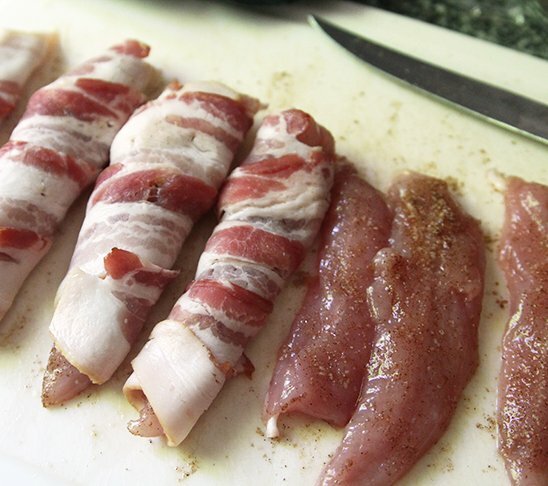 Place the bacon-wrapped chicken tenders on the grill and cook for 15-20 minutes, until cooked through.